I’d started four different James Wright essays, each quickly withering on the vine. And me with such high hopes! The first one began, “There are at least half a dozen discernible James Wrights. Among them are the young formalist, the translator, and the European prose poet.” This one would have been an essay of lists and would require me to pick apart the inextricable. After the better part of a page I gave up. Three aborted essays later, I typed, “James Wright spent roughly the first half of his life in a world open only to traditional verse, and the second half in a world that tried to destroy it.” Even now I like this sentence, bold and calling out for a soulful “Amen.” But this one, too, as I worked my way through the introduction and into the first body paragraph, proved a failure. From such declarative beginnings I found myself devolving into a boring and wholly unoriginal treatise on how the G.I. Bill changed everything. What’s the use, I wondered, deciding I wouldn’t write an essay after all. I’m not the first to fail. I think of Han-shan, high on his mountain. He tried to live like everyone else. Here’s a James Wright poem I bet most of you don’t remember: Old Bud. Not that Wright himself was averse to formality. Either artistic or scholarly. As a young educator, in fact, he was hired at the University of Minnesota to lecture on the English Novel, with a special focus on Charles Dickens. I wonder what, for Wright, would have been the appeal? Dickens—his novels so full of poverty and love, hardship and the best and worst kinds of community. The image is clear to me as a bell: the shabbier districts of Charles Dickens’ London as besmirched by industrial soot as the houses and new-fallen snow of James Wright’s Martins Ferry, Ohio. and he sang his God Damns in despair. for his body in the dark. sycamore leaf in his sleep. By no means a perfect poem. But try not to giggle at and with the little boys. And we laugh to keep from crying until the two equal, but opposite, inciting emotions are as inextricable as if they stemmed from same ugliness and beauty. Old Bud marooned out on his straining porch swing—I can’t help but worry about him and wonder how he, or any of us for that matter, will get by. Each stanza is its own little essay. The first provides the exposition and the humor. In #2, the tone changed drastically, the whole thing winds down. The boys and the town, even Old Bud himself. And we could have ended right there. What a way to end this sad, funny poem: “The rusty chains do their best / for his body in the dark.” But having done so, having stopped at the imagery and personification, we would have missed the sermon. In stanza three we are plums, hidden on the branch. The best we could have hoped for was just not getting plucked. The third stanza is the moral stanza. In it we are gifted with insight about our own human frailties and our own human inevitabilities. In #4 the prophet undercuts most of what we’d thought we’d learned, and we’re back at the first stanza, forced to fend for ourselves in the opaque world without any discernible philosophy to guide us. My two favorite poets both sought, like many others, to turn the inward out. But William Stafford and James Wright did so in two very different ways. Many of Wright’s most memorable poems live in the land between. We are just as much a part of Po Chü-i’s continuum as we are of Wright’s. And if that can be true, what couldn’t? Stafford is just as philosophical, but much more overtly responsible when he shines a light on our inner turmoil. He often meets the reader more than half way when it comes to some conclusion he wishes us to draw. And he’s far less Chinese about it. Having typed the last two paragraphs, I now can’t really remember what I had in mind when I juxtaposed these two poets. There are similarities: both befriended by and, though both deceased, still championed by Robert Bly. Both touched by war in their equal but maybe opposite ways. But Stafford was so very upright and moral, if pessimistic. He had an ideal in mind and occasionally found it. For Wright, the search or the philosophy maybe was the ideal. I don’t want to give the wrong impression; I make it sound like Stafford is the much more conservative poet. I don’t think that’s the case, especially as far as process is concerned. Whereas Wright seemed to begin at a much less arbitrary place, Stafford attempts to follow his famed thread wherever it leads. I don’t know whether or not we are supposed to know the destination when we see it, but that’s the idea. Let the length of the second title be your guide in determining which poem belongs to which poet; I won’t say more. Anyway, I read them both recently and so they’re both fresh in mind, which is probably why I paired them here. Maybe I shouldn’t have. Maybe I’ve sawed the barrel too short and my shot is scattered much wider than it ought. Maybe. Each of the Wrights? It’s quite simple, really. Growing up, Wright was an Appalachian-Rust Belt kid, who also happened to be a rural-urbanite. Of course, Wright was also a gregarious introvert who sought solitude via a very public medium, so all bets are off when it comes to concise explanation of his psyche. I learned all this from Blunk, who was good enough to speak with me at length about what he found out in his twenty years researching and writing his incredible James Wright biography. Transcript of interview available below. Jonathan Blunk says his book is built to last. Absolutely right. I can envision later volumes that might focus solely upon Wright’s Kenyon years, or his Seattle years. Indeed, many individual components of Wright’s journey could receive full book treatment. I can even imagine books that more fully explicate Wright’s poetry. What I can’t do, however, is imagine another biography, any biography, that could possible supplant Blunk’s tome as the best overall look into the life of our deep and troubled poet. James Wright: A Life in Poetry is definitive. And why not? Blunk’s exhaustive research is clearly on display. As is his abounding enthusiasm, a quality ever-present in his telling of Wright’s life. Blunk loves the poetry and he relishes the opportunity to better understand it by better understanding the man. It’s an incredible book. I'd love to read it again. You can look it up—twenty years is about how long, at the outside, historians estimate it took to complete the Great Pyramid of Giza. But those guys, the Egyptians, were working toward a single point. Blunk, like Wright himself, was working toward something far more complex. 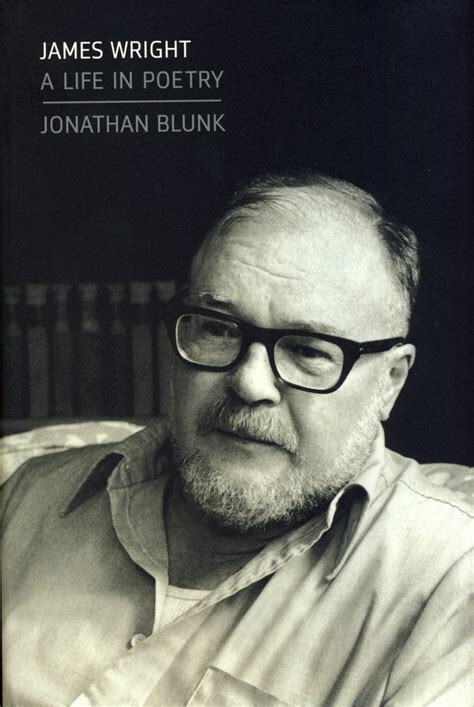 Jonathan Blunk: I haven’t found any American poets who have a festival in their honor. Certainly not one that has carried on for thirty years. The festival we had back in April  in James Wright’s hometown of Martins Ferry, Ohio, where all the festivals have been held, that was what Tom Flynn, one of the organizers, called the “Phoenix Festival.” It had been in hiatus since—I think the last festival was in 2007—but it had begun the year after Wright’s passing. In 1981, the poets Robert Bly and Dave Smith took part in the first of what became a yearly festival in April, in Martins Ferry: the James Wright Poetry Festival. So that continued until 2007. I recorded quite a few of the festivals, beginning with the 10th Festival in 1990, when Wright’s Complete Poems was published by Wesleyan University Press and Farrar, Straus & Giroux. That was a marvelous gathering of nearly two dozen poets. Many of them had come over the previous ten years of the festival, and I recorded all of it along with many interviews at that time. I’ve done a lot of work in radio; that’s one of the reasons for my love of jazz music. I produced a history of Reggae music for National Public Radio, and I was on radio playing Reggae and African music as well as jazz in the 1980s. But I decided it would be great to produce a documentary on James Wright, whom I had studied in college. That’s why I recorded the 10th Festival. Since that time, in 1990, I’ve recorded eight or nine of the festivals, into 2007. By that time, I was deep at work on the biography. But that was a radio project I was working on back in 1990, and so that actually was the beginning of the interviews that came to figure so importantly in the biography itself. So, my research goes back many, many years. AF: When did you first encounter James Wright’s poetry? JB: I was an undergraduate at Cornell University in the late 1970s when I was introduced to James Wright’s work. I was also studying Latin American literature and I was amazed at his translations of the Latin American poets César Vallejo and Pablo Neruda, and also, I branched out into the Spanish poets. I had been studying Spanish and I could see clearly that his work in translation had a direct influence on his own poetry and that fascinated me. I wrote an honors thesis at Cornell on James Wright’s translations from the Spanish, and so my work on his poetry goes back to that time. I had hoped to meet him and to interview him. I had already met Robert Bly in 1979, and Robert encouraged me—and also Fran Quinn, a good friend of mine—encouraged me to seek out Wright when he returned from his travels in Europe. In 1979, he and Anne Wright, his second wife, traveled extensively in Italy and France and England, and other parts of Europe. They returned in September of ’79, and I had written to him asking for a chance to interview him specifically about his translations. He took ill very quickly that fall and passed away in March 1980. So, I missed the chance to meet him in person. That has something to do with my trying to track him down; I think some of the energy that went into the biography was fueled by that sense of having missed an opportunity somehow. It was a deeply tragic kind of loss to the world of poetry that was keenly felt by many of his peers, most of his peers in his generation, but also by younger poets who had already recognized in him an example or mentor or a way to move their own poetry forward. He was very much a mentor of a world of poetry at the time of his passing. So, the festival is, in some measure, evidence of how influential he was to readers and other fellow poets. They recognized in him a voice they felt comfortable with, or one that challenged their work […] [A]t the time of his death and for years afterwards, poets were writing elegies dedicated to him and there are literally dozens and dozens of them […] There are so many beautiful elegies written for him, and this is also a testament to how people feel touched by his work, and those who knew him felt the loss very deeply. So, I’m not alone in that, having been attracted to his work as an undergraduate. AF: The festival, you say, started there at the end of his life. Was he known in his hometown as somebody who was that important or was it just outside of Martins Ferry that he was so well regarded? He had had a difficult childhood in many ways, though his family remained intact and there was a great deal of love that he shared with his parents and siblings. But it was the place, the physical environment. Wright was highly aware of how industry had kind of disfigured the natural beauty of the part of Ohio where he grew up. Martins Ferry, being just across the river and a little north of Wheeling, West Virginia, it’s an industrial town—it was then. A steel town, a coal town—there were coal mines throughout the hills to the west of Martins Ferry. And he was very much aware of the great natural beauty of the Ohio River, which is maybe a quarter of a mile wide at that point; it’s really quite stunning, the majesty of the river, where the town of Martins Ferry ascends the Appalachian hills along that stretch of the river. As a child he saw the floods that wiped out whole neighborhoods that were all along the river, but it was the industry, the steel mills…the soot from the coal, the burning of coal in houses as well as in the factories, left a layer of grime on everything. Within an hour of a snowfall, the snow would be blackened with coal soot. This was the Depression when James Wright was growing up—he was born in 1927, December 13, 1927. His family wasn’t desperately poor; they moved frequently when he was young, almost every year. His mother was kind of a wandering spirit in that way; she didn’t like neighbors or trust people getting too close. But you could also get a free month’s rent if you signed with a landlord to stay for an entire year, so actually her moving the family frequently was one kind of effort to stay ahead. Wright’s father always had a job, except when he was laid off for a few months in the summers during the Depression. So, they had a fairly steady income—they sometimes were hungry…Wright remembered putting cardboard in his shoes as a child, but there were so many people who were so much worse off that he responded to this emotionally, I think. 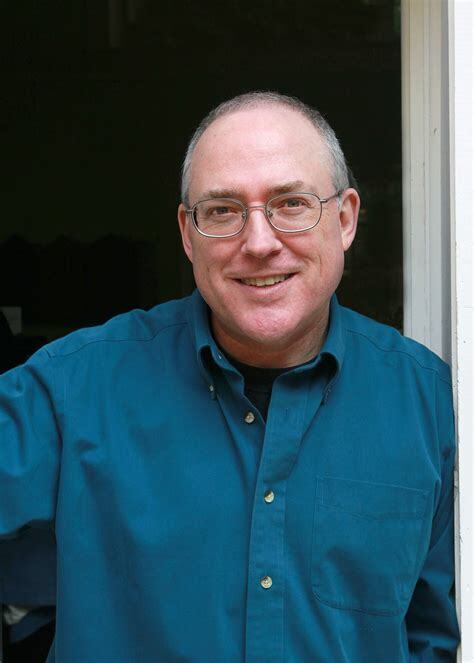 AF: Wright’s experiences as a child and adolescent in Martins Ferry, Ohio, seem to have left a permanent stamp on his psyche—certainly upon his poetry. JB: That’s one of the things, one of the feelings I have about his experience of childhood, that he was aware of the suffering around him that other people were undergoing. And part of that he held against the place; that’s part of his insistence to leave the Ohio Valley behind, the way he saw his parents suffer, who wanted much more out of their lives. His father worked in a factory from the time he was fourteen, and spent his whole life on an assembly line, at what was called the Hazel-Atlas Glass Company in Wheeling. He was a die-cutter for canning jars. In the Depression the canning industry was somewhat immune to the fortunes of, or the misfortunes, that were rampant throughout the country. The canning industry actually survived very well because that was one way people could keep their own stock of food. So, Wright had very conflicted feelings toward his hometown. And the townspeople, when they began reading his poems, often misread his honesty as a betrayal of some kind of trust. He felt the need throughout his life to speak the truth of what his experience was and how he saw the world, and so he spoke somewhat harshly about the place at times. A lot of that was read by people who knew him back in his hometown as a kind of cruel betrayal of the place, but he never really felt that way. Wright was much more devoted to the place than I think he knew himself. When you realize that even in his last book, his posthumous book, so many of those poems return to Martins Ferry and to the Ohio River. Every one of his books, really, touches upon that place. That was one of the wonderful things about writing the biography—tracing that story of his relationship to his native place and how it made him, and how his poetic imagination, I think, is really spurred by Wright’s experience as a child and young man in that part of Ohio, and his love for his relatives and the people that he knew there and admired. AF: Wright managed to travel very far from the Ohio Valley, though. JB: Wright began traveling to Europe quite often with his second wife, Anne Wright—they made their first trip to Europe together in the summer of 1970, and they made many, many trips in the last decade of his life, returning to Paris, especially, and Verona, his most favorite city, and throughout Tuscany, to Venice and Vienna. His experience of the Old World, the historied world of Italy and France, colored his view of America, made him kind of homesick for the place, and he saw how much he really loved his hometown and his native Ohio. But he was drawn to Italy, especially, because he had studied so much Latin in high school, and he felt a closeness to Horace and Dante, and all those “old Italians,” as he would call them. He had a great love for history. He had an amazing mind. James Wright had one of the most remarkably deep and clear intelligences I’ve ever encountered. One of the great quotes I have from Robert Bly in the book is, he spoke of Wright’s poetic intelligence as approaching that of a great musician. It’s like a musical quality. It’s as if he had a perfect ear for poetry, essentially. That’s one of the arguments I make in my book, that he could hear languages and hear sequences of words and remember them, because of this very keen sense of hearing. It was united with his phenomenal memory. Wright could recite many hundreds and hundreds of poems by heart but also prose, novels, complete chapters of Dickens, and it’s totally astonishing. Almost everyone I spoke to—and I interviewed over 200 people for my book—nearly to a person, shared reminiscences and anecdotes about his extraordinary memory. AF: How did you come to think of writing a biography of Wright? JB: In 1998 I did the first of the interviews after I had begun to imagine that I might write a biography, so my research for the book goes back twenty years. I interviewed W. S. Merwin in October of 1998, and Donald Hall in February of 1999, and by then I had begun to think of writing a biography. There had been a previous biographer who was named by Anne Wright, and he had signed a contract with her in 1982, but had never actually begun the work, though he made public appearances as the “official biographer.” So, there was a sense in 1998 that the work wasn’t getting done and I had begun to sense that myself. I had become friends with Anne Wright after meeting her in 1990—at that 10th Anniversary Festival, and so I began work on what I imagined would be a second biography. Anne Wright asked me to write the authorized biography in 2002, and I signed a contract with Farrar, Straus and Giroux in 2008. AF: I’m curious to know what makes your biography the "authorized" one. JB: Anne Wright is the executrix of the James Wright estate, which gives her the power to permit or withhold permission from scholars or writers to access James Wright’s unpublished work. To quote from his work or publish his poems you would need her permission. So that’s what makes a biography “authorized”—the executor of the estate grants permission for a biographer to have access to all of the work and to publish whatever they would wish. My agreement with Anne Wright gave me the authority to write the book as I needed to. She was very gracious and honored that commitment. So, the book is entirely my own and I’m proud of the way it came out. It was more than twice as long as it is now. My first draft was well over 1,000 pages, so it’s been edited, at times, what feels like severely, but I’m happy with the choices I’ve made. There’s a long essay I’m now working on that is only glancingly referenced in the book, and it returns to Wright’s love of the Spanish poets and the translating work that he did in the late 1950s and early 1960s—especially the poems of Antonio Machado, Juan Ramón Jiménez and Federico García Lorca. Those poets had a profound influence on him and I’m working on a long essay about Wright’s love of those poets, the translations he did, and the influence it had on his work. It centers on the color green, which crops up all over the poems that went into his watershed collection, The Branch Will Not Break, which came out in 1963. So, there’s a hiatus between 1959, when he published his second book, Saint Judas, and 1963 […] and this long stretch of years when he’s working feverishly at putting a collection together, writing marvelously and translating very widely. But in that book, The Branch Will Not Break, the color green begins to blossom everywhere and part of that is the influence of the Spanish poets he’d been translating. García Lorca has a very famous poem—it’s often translated as “The Sleepwalking Ballad”—that begins, “Green I want you green.” It’s a beautiful, beautiful poem. It’s famous throughout Spain. There’s probably not a Spaniard who couldn’t recite some of those verses to you; it’s that famous. It goes very deep, and touches upon the whole Spanish culture. So, that was one reason I wanted to return to Spain this past June. It was kind of a Lorca pilgrimage for me. AF: So you had traveled to Spain before? JB: I first visited Madrid in December of 2016. I had met a very fine poet there named Spencer Reece, who runs a reading series in Madrid at the English language bookstore called Desperate Literature. Reece directs the Unamuno Author Series that has sometimes weekly, often monthly, readings that he hosts there, and I was fortunate that he invited me to give a reading there in June. I read with Octavio Quintanilla, who’s the poet laureate of San Antonio, Texas, and another fine poet, Marjorie Kanter. So, that was one reason I returned to Spain, but also, as I said, one of my destinations was Granada, Lorca’s home, and I had a chance to meet his niece, Laura García Lorca, who is the daughter of Federico’s brother, Francisco. She is a lovely woman who gave us a guided tour of a new exhibition at the Lorca Center there. My wife and I also visited the Lorca house where he lived and did much of his writing while in Granada. So, it’s thrown me back into this essay that I’ve been working on over the past ten years or so, a constellation of ideas that only gets a brief mention in my biography. But my love of Spanish culture and of the Spanish poets, and Latin American poets, is bound up with my first encounters with James Wright from back in college. I gave a second reading, in Portugal, at the University of Coimbra, which is the second oldest university in the world. The English/American Studies Department there had invited me to give a reading from the biography and so it gave me a wonderful excuse to travel from Lisbon to Coimbra. I had a wonderful time, and my talk was well received. AF: Is there a sense of felt history there? You say, “[T]he second oldest university in the world.” Is that history just seeping out of the walls there; can you feel it? JB: Oh, yes. Very much so. It’s a beautiful old town. It had once been the capital of Portugal. Lisbon, also, Lisbon utterly charmed me. It’s a magnificent city. The whole country is very beautiful and the people there were very gracious to us, very warm and welcoming. So, I had a wonderful two weeks at the beginning of June, travelling in Spain and Portugal, spreading the good news of James Wright. The biography is very much about returning readers to his poetry. That’s really what my goal is, and has always been, in my study of his work: to share the lasting quality of his work. I mean, 100 years from now people will still be reading James Wright’s poetry, as long as we still have the American language to fall back on—he’s that important. His contemporaries knew that. The poets that knew him and knew his work recognized in him that he was the real thing. I mean, he—it’s kind of remarkable—three different poets that I interviewed said, in almost exactly the same words, “He was the real poet. I’ve written some good poems, but he, among us, was the poet.” I’m thinking of Philip Levine, Robert Bly, and Louis Simpson. Those are just three off the top of my head, but that was a common view—it startled me sometimes that that was such a clearly held belief among his contemporaries. Many of my interviews, of course, took place in the last dozen, certainly the last twenty years—and so he had already been gone for a long time and these poets I was interviewing in speaking of him are really speaking about the quality of the work. It’s a part of our language and a few of these poems are a part of every poet’s memory. So, the influence that he’s had, certainly on the generation that came after him—I’m thinking of C. K. Williams and that next younger generation, Larry Levis and, oh so many poets—Rita Dove… Mary Oliver was greatly influenced by James Wright’s poetry—he’s probably the most compelling of the mentors that she chose as models for her work. So, Oliver’s work, which is currently the most widely read among American poets, comes directly out of her study and correspondence with Wright, and her friendship with Wright. AF: Why? Why is James Wright the poet, whereas other people, they’re poets, but they’re not the poet. JB: What they’re speaking to, what they’re trying to express—we use the word “embodied.” It’s almost as if he didn’t have a choice; he was a poet through and through. E. L. Doctorow said, “I had met poets before”—he’s speaking of his time with Wright at Kenyon College when they were undergraduates there—“but James Wright never stopped being a poet.” He lived and breathed poetry. He was kind of helplessly in the thrall of poetry in a way that other writers could immediately recognize. Poetry meant everything to him. The expression of his thinking and feeling through language was—I mean, I don’t know if compulsive is the right word. It’s almost like a glorying in language, a kind of ecstasy, in a way, that he was pursuing. Wright always spoke of language as a music that you heard, and I think in a way he was carried away by it; it just meant everything to him. It resulted in his family kind of being shipwrecked. Harry Weber, who was very close to Wright when he was living in Minneapolis, said, “If Jim Wright was forced to choose between poetry and anything else, poetry would always win out,” and that was certainly true of his family for much of his life. When Wright finally got sober in the last years of his life, there was more equanimity. He had reached a level of trust in himself and forgiveness of himself that he could find more balance in his life. But, certainly, in the great bulk of his life there was no contest. Poetry was the center of his being, in a way. That’s part of what these other poets are speaking to when they say he was the poet. And he was also that good. Other poets recognize this immediately. AF: Was this always true of Wright? I mean, didn’t he struggle through an apprenticeship like all other poets? JB: Wright’s great command of free verse comes out of the deep study he had done in formalist verse, in traditional verse, and rhymed & metered verse. He studied with John Crowe Ransom at Kenyon College. Robert Lowell had been a protégé of Ransom’s and James Wright became the next one. Lowell was, I believe, seven years older than Wright, so there’s kind of a half generation there, but Wright was very much a protégé of Ransom’s at Kenyon. He also studied with Theodore Roethke at the University of Washington in Seattle, and that, too, was a mentorship in a very deep way. And Roethke is probably the most criminally neglected great poet in the American pantheon. He was an absolute magician with language; he had a total command of everything from the great plain stylists, the Elizabethan poets, up through the magnificent free-verse poems that he was writing in the collection The Lost Son, and all the great greenhouse poems. Roethke was just a marvelous teacher and a great friend to Wright when [Wright] was a graduate student at the University of Washington in Seattle. AF: It was interesting to me—the two thing that really made an impression on me while reading the book—well, three things: the first one is I couldn’t read the book straight through because I kept having to go back to the Collected Poems and read more of those. JB: Excellent. That was my whole intention. Part of the difficulty for me in editing the book was restricting myself to not quoting so extensively from work that was published and that is, in a sense, easily found in other publications. Having been given the opportunity to go through his unpublished work and having that—it’s so incredibly rich, what people have not read or seen in his journals and in his letters, his unpublished correspondence, and…Oh my God, the journals are just so, so incredible. And the drafts of poems that people haven’t seen—the genesis of individual poems and the translations that are unknown. All of that, I felt, was much more important to find a place for in the biography. The unpublished work that readers have not seen—I thought that referring people to the Complete Poems was something I needed to do because there was such a great richness of material that fills out the story, expands the story, broadens and deepens the story of his life. AF: I had a similar experience with certain prose references. I had to catch up with some other writers as well, was exposed to some other people and I had to read some of their work. For example, I’d never read Georg Trakl’s work. But Wright was definitely not restricted to poetry. JB: That’s right. That was the great joy of writing this book […] Wright was a brilliant man, beyond anyone I can name. His intelligence was just omnivorous. His love of reading, his need to expand the language. He read incredibly widely. Early on, when I began work on the biography, I knew that I had to read H. L. Menken, whom I hadn’t read before. I knew that I had to read Ring Lardner, and Nietzsche, and all the poets I had read only glancingly, such as Roethke and so many others. Stanley Kunitz was a great mentor of Wright’s. All of these poets, and other writers. It wasn’t just poets. I had to read Dickens; Wright was a Dickens scholar and loved the English novel. Tristram Shandy—Laurence Sterne’s great picaresque novel. All those great, early British novels—that was Wright’s forte as a teacher. He was a marvelous teacher and refused to teach creative writing. He wanted to teach the history of the English novel; that was his specialty. So, there was a great deal of learning that I had to do working with Wright’s own library. That was a wonderful gift. The friendship I had with Anne Wright gave me access to the books of his that she still had in her possession as well as the books that are now held in Minneapolis, at the Anderson Library Literary Archives at the University of Minnesota, where all his papers are. They have a collection of Wright’s books as well. Many of those books I painstakingly found duplicate copies of and transferred his marginalia into working copies of my own. That deep research in his library was something I came to depend upon while writing the biography. I wanted that to come across to the reader—that his books and his library were, at times, something like a life raft for him. They were that important when he was—certainly in the years he spent in Minneapolis, which was somewhat abhorrent to him. His reading and his love of books and poets meant the world to him…kept him afloat. He was drinking a lot then, too. [Laughs] That’s probably not the right metaphor to use. AF: And yet it’s a fact. JB: It is a fact. Yes. That’s part of why it was important for me to tell the truth as clearly and as plainly as I could, and I think that Anne Wright may have resisted that at first. Had I pushed to publish the book quickly, I think I would have had more difficulty convincing her how important it is to tell the full truth of his life. I believe I’ve succeeded in that and she’s very pleased with the book. So, I think, finally, in the end—the only reason to tell the story of anyone’s life is to tell the full truth as clearly and plainly as you can. Human beings love stories; it’s what we’re made of. It’s how we think and see the world to a large degree and if you’re not telling the full truth, you’re doing a disservice to your reader. JB: No, no, no. It’s a fair question. Because there is a way in which I felt, having spent so much time in his company, one becomes, not so much protective, but indebted to your subject. I felt a gratitude toward James Wright for all that he’s taught me and for having this access to his papers. But the truth is much more fascinating than anything less. He did suffer from nervous breakdowns, but what were the catalysts there? It’s always kind of confused by the fact that he was alcoholic, and the kind of alcoholism that he suffered from was very pernicious; it was debilitating in a way. Once he started drinking he literally couldn’t stop. It’s a through-line in terms of the story of the book until he finally, in the spring of ’75, begins going to AA. In May of ’74, he finally declares that he needs to get sober and tries to go cold turkey, and that actually precipitates the last breakdown he suffers in October of 1974. It was following the death of both his parents the previous year, so there was a lot of grief he was processing, and the alcohol had always kept that under wraps, kind of pushing it away, and I think a lot of things came back upon him when he was struggling to get sober. In the final two years of his life Wright is sober and the poetry he is writing in the last phase of his work is absolutely stunning. His command of language is preeminent, I believe. He was, as you know, beginning to write in prose. He wouldn’t call them prose poems; he insisted on calling them “prose pieces” because he believed that what he was doing in that work, in these short lyric paragraphs, was trying to teach himself how to write good, clear prose. So, Wright resisted calling them prose poems because he felt that muddied the distinction he was making in his own mind. And yet, in drafting his last poems, the great posthumous book called This Journey, and for years beforehand, he alternated between drafting work in free verse and prose. Many, many times he would alternate back and forth with a particular poem, trying to “hear,” as he would speak of it, to listen for what the poem sounded like in prose. Then he would re-draft it with line breaks and sometimes he would end up going back to prose. You can see that marvelous fluidity and command of language in the late work. It’s one of the most fascinating aspects of the development that I see in his poetry: the prose pieces, the lyric prose passages he was writing in the last decade of his life. JB: It was part of literary culture in a very peculiar way. It was true in the ’50s and ’60s in a way that it’s certainly not true now. It was a way of lubricating the social dimension of poetry in those decades. So, he couldn’t avoid it; it was the last thing he needed, and it was always there in front of him. And it was a social imperative, in a sense. Yet there were poets whom he admired who were, themselves, terrible models to take up for that reason—Roethke being alcoholic and, of course, Dylan Thomas. But these were some of the best readers and lovers of poetry that we had in those decades. Of course, we have to remember that, historically, alcoholism wasn’t understood then as the genetic component disease that plays so heavily into the way it can swamp a life. Wright’s son Franz suffered from alcoholism as well. Both of James Wright’s grandfathers were alcoholic, and Liberty, Wright’s first wife, her family was of Greek ethnicity, her father and much of her family—Franz’s mother’s side—were alcoholic. So, Franz got a raw deal in the genetic cards. Franz suffered terribly from mental illness and alcoholism. The fact that he was productive as a poet and wrote marvelously, certainly in his early career—Franz was an exceptional poet and a very fine translator. His father was a direct mentor to him from the time Franz first sent him poems as a sixteen-year-old. This would be in 1969. From that point on, for the next decade their correspondence was anchored in their shared love of poetry and the mentorship that his father took on towards Franz. It’s a really beautiful part of the story. AF: Oh, it is. Absolutely. It made an impression on me, definitely. Especially because, they were suffering some abuse at home, weren’t they? The sons? JB: Liberty’s second husband did abuse both boys. James Wright had two sons with Liberty, Franz being the older, born in 1953, when Wright was on a Fulbright in Vienna. He and Liberty had been married for just over a year at that point. Franz was born in March of ’53; his brother Marshall was born in Minneapolis, at the end of July 1958. So the two boys were five and a half years apart, and when they were living with Liberty in California, after she remarried, they did suffer abuse at the hands of their stepfather. Franz’s story is a very sad one and James Wright’s relationship to his sons is probably the most difficult part of the book, certainly for me when writing his biography. When you ask if there were times I wished I could soften the facts somewhat, it’s probably the most poignant and painful difficulty I had, dealing with his relationship with his sons, because he simply didn’t show up for the job. He was, in a sense, waiting for them to be older [Laughs] before he could find some way to interact with them as peers. Certainly, that’s my feeling concerning his relationship with Franz. They become very close as father and son in the final years of his life. But his estrangement from his younger son, Marshall, is really heartbreaking. Marshall is still alive but suffers from mental illness. So, there’s a deep sadness there. There was a misunderstanding that Franz bore toward his father when James Wright was in the hospital in New York City, and dying of cancer in the winter of 1980. So this would be February of 1980. Marshall came out from California on a bus—his mother had put him on a bus to come out to New York City to visit his father. Wright had been estranged from Marshall for almost a year and a half at this point. Anne Wright refused to let Marshall visit with his father until James Wright’s psychiatrist had interviewed Marshall to see what kind of effect it would have on both of them, that kind of visit—for Marshall to see what kind of state his father was in. James Wright had lost almost fifty pounds at this point; he had a tracheotomy and was breathing through a tube and could not speak anymore and was using a writing pad to communicate in the hospital. It was very clear that he was dying. Franz believed that his father had refused to see Marshall on his deathbed, but what I learned from reviewing the hospital notes in James Wright’s own hand, and from my interviews with Anne Wright, the truth is that Anne finally admitted to refusing to let Marshall visit with his father, after it became clear to the psychiatrist that Marshall was not taking his anti-psychotic medicines and was actually beginning a manic cycle in his illness. She believed it would have been disastrous for Marshall to visit with his father, and she was also protective of her husband. Yet Franz insisted on his own version of this story. The truth is what I read in Wright’s hospital notes, which make it clear that he did not know Marshall had come to visit him, and yet Franz bore a deep resentment toward his father, and you can read it in a number of Franz’s poems—a real bitterness that seemed to get worse as time wore on. So, I wish that Franz, especially, had survived to read my book. It would have been a great argument, I’m sure, but it’s an argument that I wish I could have had with him. AF: So, Anne saved the hospital notes? JB: Yes. Yes, she did. AF: So, even at that date—or maybe even earlier, I don’t know—she was aware that she, if not only legally but also in every other way, she was going to be the one to preserve this legacy and share it with the world? JB: It’s a deep part of their marriage. It happens almost from—not even “almost from the start”; it happens even before they got married. I think Anne saw in James Wright not just a brilliant writer, but someone who needed to be taken care of. In a lot of ways James Wright was not made for this world. In terms of feeding, clothing himself, he wasn’t skilled at many of the labors of just day-to-day life that most of us need to master in order to make our way in the world. His marriage to Anne in April 1967—that actually is the beginning of his renaissance. It took a long while for it to take root, in a sense; the alcohol being the clearest culprit to his really finding peace with himself. But Anne was really a big part of clearing away the debris and beginning to literally salvage his manuscripts and bring order to his life from that point on. Wright spoke of Annie quite clearly—in the same way that he spoke of his friendship with Robert Bly and Carol Bly. He spoke the same way about Annie. And he was not speaking fancifully; he was being literal, when he said that they had saved his life. The friendship that he found with Robert and Carol Bly in the early 1960s, and the many, many trips he took from Minneapolis, travelling west to the Bly farm some 3 ½ hours away, near South Dakota, on the very western edge of Minnesota. The times he spent on their farm literally made it possible for him to survive. The love that Carol and Robert showed to him, and the great friendship that he had with Robert—it goes far beyond the question of poetry and how much Wright’s poetry influenced Robert and how much Robert’s, in a sense, influenced him. That mutuality of influence is, in many ways, difficult to tease apart. There’s a misconception that Bly’s poetry somehow had a huge influence on Wright’s work. The argument I make in the biography is that it’s the work in translation—and both of them were doing the work of translation when they first met. They were both reading Chinese poetry in translation and that’s one of the great secrets to the poetry they were writing in the early ’60s, but it’s also the translations that they were doing themselves from German and Spanish. The poetry of Trakl that you mentioned—that’s one of the great influences. In this case, James Wright was fluent in German, and Robert Bly knew very little German, and very little Spanish, as well. Wright worked very hard at learning these languages. He had studied German at Kenyon, and that was the basis of his Fulbright in Vienna, his study of the German language and the prose of Theodor Storm, the great 19th Century writer who influenced Thomas Mann and that branch of late German Romanticism. So, Wright’s fluency in German gave him access to what Trakl was doing, and that had a huge impact on him. So, it wasn’t so much Bly’s poetry—it was Bly’s friendship, I think, that made the biggest difference to Wright. Had Wright’s The Branch Will Not Break been published in one of its earlier incarnations, say in ’61, before Bly’s first book, Silence in the Snowy Fields, appeared in ’62, there wouldn’t be so much argument that Bly had had a huge influence on James Wright. It would have been the other way around. Wright withheld his book, The Branch Will Not Break, until he felt it was good enough [Laughs]. He put together, you know, maybe half a dozen different versions of that book in the course of four years, until he found a sequence that he felt was the book he wanted to write. That’s one reason it’s his most famous book, certainly; it put his name on the map and it is still, I believe, the book that readers return to most frequently. That was 1963. But Wright had discarded 120 different poems that had at one time over the previous five years been considered as part of a sequence of poems he had put together for that book. Most poets—that’s three different books that other poets may have chosen to publish that Wright withheld. That’s just a marvelous example for anyone writing poetry, to see that type of dedication to crafting a sequence of poems, a book of poems. I believe his next book, the book he published in 1968—again, another five years later—called Shall We Gather at the River, is one of the great sequences of poetry in American literature. It’s flawless in terms of the way he put those poems together. It’s a continuous descent. And in the final poem, “To the Muse,” it’s a way of trying to come back up again out of the river. It’s a magnificent, kind of seamless narrative, and it takes inspiration from Rilke, who was probably one of the most important poets to Wright when he was studying German. You see that same devotion in Rilke that you see in James Wright. Rilke was also someone who left wreckage behind him everywhere in his relationships with people and the world, largely out of his devotion to poetry. There are very few people you can point to in the world of poetry that left so much disaster in their wake out of a helpless devotion to poetry, but James Wright and Rilke are two names that spring to mind. AF: The wider world had to often be patient for the finished product, but manuscripts for individual poems were shared pretty far and wide by Wright among his contemporaries and friends, right? JB: That’s true. He shared poems in letters, but he often wasn’t looking for comment or criticism from his peers. It’s different than someone like Donald Hall, who could scarcely write a poem of his own without getting five or six poets to help him edit his work. Wright was much more clear about what he was trying to say, in a sense, and what he wanted his poems to do. Donald Hall, Robert Bly and Galway Kinnell, those were probably the three poets that he trusted the most to comment on his work. At the end of his life, the poet Hayden Carruth was far and away the most important critic that he listened to and shared his work with. So, he would take their counsel, but he frequently rejected it. The most notorious example of his going his own way was the book Two Citizens, which he eventually disowned. One of the reasons for its almost total failure, beside the fact that he was just drinking egregiously at the time he was writing those poems, was that he didn’t share them with poet friends and they may have succeeded in discouraging him from publishing many of those poems. Wright did confess that he felt they were simply unfinished, that he hadn’t pushed them through the next round of revision that many of those poems so clearly needed. JB: I agree. And yet occasionally there’s a stanza or a sequence of lines that bear that unmistakable voice of James Wright, and you can almost intuit what he might have done had he found the will to work with those poems as he did in so much of his other work. Part of it is the curse of having won the Pulitzer Prize in 1972. He was sort of wrecked by that kind of notoriety. He almost didn’t trust it in a way. It’s very curious, his reaction to winning the Pulitzer Prize for his Collected Poems that came out in ’71…That triggered one of the worst periods of drinking that he suffered through, before finally recognizing that he would have to quit. So, the story—it’s just a remarkable story, his life. The way that—it’s a question of character, really, that he fought through the suffering he had undergone as a child, as an adolescent, as a young man in the industrial, kind of barren, despoiled place of Martins Ferry, and the suffering that he endured from depression and alcoholism. There’s a strength of character that helped him survive, so that you get that great flowering of masterful late work. The final year of his travels with Anne in Europe, and the journals he was writing daily are simply spectacular. I would love to see a published collection of his journals from the final years of his life because they are so remarkably rich and they give you such a clear glimpse into the quality of his intelligence. That was probably the greatest joy I had in writing the book—those months he was travelling in Europe, and the incredible productivity he was able to tap into in the final years of his life. Roland Flint, his great friend from Minneapolis—marvelous reader and raconteur, and great, great friend of James Wright; also a marvelous poet himself—said that Wright had told him, “My languages are coming back to me.” There’s this cloud lifting, in a sense, from the years of drinking, and so the richness of language in the late books—To a Blossoming Pear Tree, which came out in late 1977, and then the posthumous book This Journey—the quality of language is just spectacular. The ease and the naturalness are something to emulate. All that intelligence comes shining through; this great sensibility, I think that’s what readers are attracted to. There’s someone they can trust; there’s a voice there that isn’t posing, that isn’t trying to impress people—he was always trying to speak the truth, but the truth in terms of our feeling-life, our own personal experiences of the world. He was trying to—I believe he felt that if he could express in a very clear way what his feelings were about his experience in the world, that readers would be welcomed into the poem. There’s a quote that’s in the biography—it’s from the great poet Robert Hass, who’s also one of the great critics we’ve had. In reading the poem “Outside Fargo, North Dakota”—this is in The Branch Will Not Break—Robert Hass saw in Wright’s “absolute clarity of feeling” a way in which sensibility could become “something as lucid and alert as intelligence.” The kernel of that truth goes to the heart of James Wright’s achievement and also in what readers respond to so openly and so immediately in reading his poems. That was the experience I had as an undergraduate when I first read his work, and that explains why there was a festival for thirty years in Wright’s honor. There’s an immediacy of response that readers find in these poems that is still extremely rare in American poetry, and it’s very, very precious. AF: Is there one poem that, having taken firm root in your mind, that you frequently revisit? JB: …[I]t’s probably the first poem of his that I read. But the first poem I would have read of James Wright’s, and the one that probably means more to me, was the first one in that book, which is “As I Step Over a Puddle at the End of Winter, I Think of an Ancient Chinese Governor.” More and more, that poem keeps coming back to me. I’ve often included it at my readings from the biography. And part of what I realized, the more I think about it, is that the story behind this particular poem—well, I could read it to you. Is that something you wish me to do? AF: If you’re interested, absolutely. What I realize now in reading this poem, and why it means so much to me, is that there’s something about James Wright coming to the rescue of this poet hanging literally at the end of his rope, for centuries. There’s something about that gesture of commonality, how Wright becomes a contemporary of Po Chü-i. That all poets throughout time—from Catullus, from Horace, or Homer, that all poetry from throughout the world is shared by a community of poets. There’s something incredibly rich and inspiring about that whole idea, and that’s really the center of James Wright’s greatness, that feeling he had for this shared community that we have, that poetry embodies. But there’s also something about—if James Wright could, in a sense, come to the rescue of an ancient Chinese poet, it made it seem possible, I realize now, that maybe I could write his biography, that I could make that connection with Wright in a deep enough way to tell his life story. AF: The title of this blog is Poetry Matters. The double meaning, of course, is obvious: issues relating to poetry and the bold declaration that poetry, in fact, absolutely does matter. Tell me, how and why does poetry matter? JB: I think I just touched upon that. That sense of community that Wright felt with other poets extends to the communion he was trying to build with readers. I think that same impulse in his poetry holds true—and how important it is, especially now, when there’s such great divisiveness being fomented by people that we turn to that we wish we could trust. When divisiveness is so rampant in our culture and is being fostered by our so-called President—it’s frightening, really. It’s a threat to our democracy. But poetry is a common ground that is meant to bring people together, to bring artists and readers together. That quote is very important to me, and I’m glad that Mr. Gundy recognized the importance of that statement and pulled it out as a quote in his review of the biography. And I think that touches upon your own interest in exploring why poetry matters.